A much more usable version of the normally very lacklustre shout Kyne's Peace. The shout now restores health (and with the right perks, Stamina and/or Magicka) and with later words cures poison and disease. Ordinator - Perks of Skyrim Only required for the Ordinator and Thunderchild + Ordinator versions. Thunderchild - Epic Shouts and Immersion Only required for the Thunderchild and Thunderchild + Ordinator versions. Thanks go to thejelleyman, the creator of the original mod for Legendary Edition that made Kyne's Peace one of my most used shouts across several playthroughs. Corrected a series of small but mod-breaking oversights on my part. The shout now functions as described on the main page, with no oddball values or visual effects. Initial release for Main Version, Thunderchild Version, Ordinator Version, and Thunderchild + Ordinator Version. In the vanilla game, Kyne's Peace is... a very niche shout, to put it mildly. I'm sure I could come up with a character who could make good and flavourful use of it, but that's not the kind of character I'm playing right now. About two years ago I stumbled across a still underappreciated mod for Legendary Edition called Kyne's Peace Reimagined﻿ by thejelleyman. This mod turned Kyne's Peace into a healing shout, giving it vastly more utility for characters not pursuing a druidic, hunter, or similar playstyle. To date, however, this mod has not been re-published for the Special Edition. So I've taken the liberty of re-creating it for SE, with a few small adjustments and enhancements of my own. Full credit is due to thejelleyman for the original mod, without which this one wouldn't exist. Please don't forget to drop by their mod page and give them an endorsement. Instead of creating one version with a bunch of minuscule compatibility patches, there are currently four full versions of Kyne's Peace Reinvigorated. The Main Version, which behaves as described below. A Thunderchild ﻿Version that incorporates the adjustments made to Kyne's Peace by EnaiSiaion's Thunderchild﻿ (for which Thunderchild itself is obviously a requirement). An Ordinator Version, which shifts the Magicka regeneration requirement from the vanilla Recovery perk to the Edgewalker perk from Ordinator (for which Ordinator itself is obviously a requirement)﻿. A version for those using both Thunderchild and Ordinator, incorporating the changes made by all three mods into one plugin. Thunderchild and Ordinator are both required to use this version. Obviously, only use one version at a time based on the rest of your load order. Also note that I'm more than happy to look into making other compatibility versions available on request. Restores your health, and the health of allies within 12 feet, by 75 points; if you have the Respite perk, restores your stamina by 75 points; and if you have the first rank of the Recovery perk, restores your magicka by 35 points. Restores your health, and the health of allies within 24 feet, by 150 points; if you have the Respite perk, restores your stamina by 150 points; if you have the first rank of the Recoveryperk, restores your magicka by 75 points; and cures the player of the effects of poison. 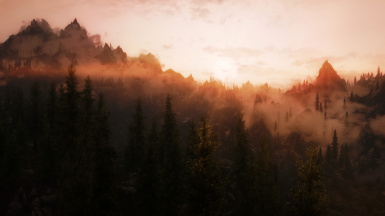 Restores your health, and the health of allies within 48 feet, by 225 points; if you have the Respite perk, restores your stamina by 225 points; if you have the first rank of the Recovery perk, restores your magicka by 150 points; cures the player of the effects of poison; and cures the player of all diseases. Future Plans: I'm always willing to investigate the possibility of other compatibility patches. Just post a link to the mod in question in the comments, and I'll look into it as soon as possible. I'm also hoping to soon have an all-in-one FOMOD installer put together. I'm muddling through a couple tutorials, but can't seem to get it to work. If anyone is willing to help out, I'd appreciate the assist.